The Hungarian Prime Minister has lashed out at billionaire George Soros, criticizing the support he has expressed towards refugees from the Middle East heading to Europe, saying that he undermines stability on the continent. Hungarian Prime Minister Viktor Orban has said that George Soros, an American billionaire and human rights advocate, was responsible for the ongoing refugee crisis. Soros belongs to a group of “activists” that encourages migrants to head to Europe and thus intentionally aggravates the situation, Orban said. Orban has also labeled the deal to share the intake of 120,000 refugees among the EU countries “unfair” and “unreasonable”, adding that these measures can lead to a democratic crisis. "Who authorized Europe's leaders, or some of its leaders, to conduct this kind of policy? 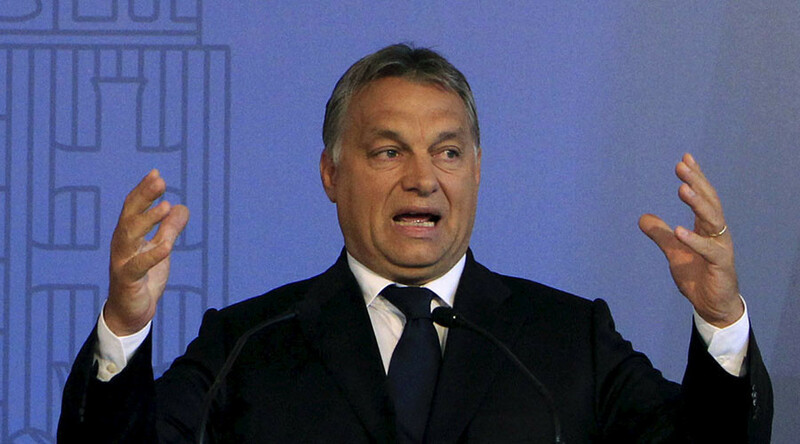 This is a democratic continent," Orban told Hungarian public radio in an interview, Reuters reported. The deal on the disputed refugee quotas was reached at a European Union interior ministers’ meeting in Brussels on September, 22 with Hungary, Romania, Slovakia and the Czech Republic voting against them. This is not the first time Orban has slammed Soros, who is of Hungarian descent. He is funding several pro-migration non-governmental organizations. In an interview with the Hungarian-language TV2 television network, Orban claimed Soros is “drawing a living from the immigration crises” while Hungary is trying to protect its normal way of life. Hungary’s decision to close its border to stop the uncontrolled influx of refugees, erect a razor-wire fence and toughen migration laws has been criticized by Brussels and human rights organization, including the ones backed by Soros.